Bison Roundup was the main attraction of the Antelope Island. This year’s Bison Roundup was the main attraction of Antelope Island, as many participants and guests gathered to witness the event. 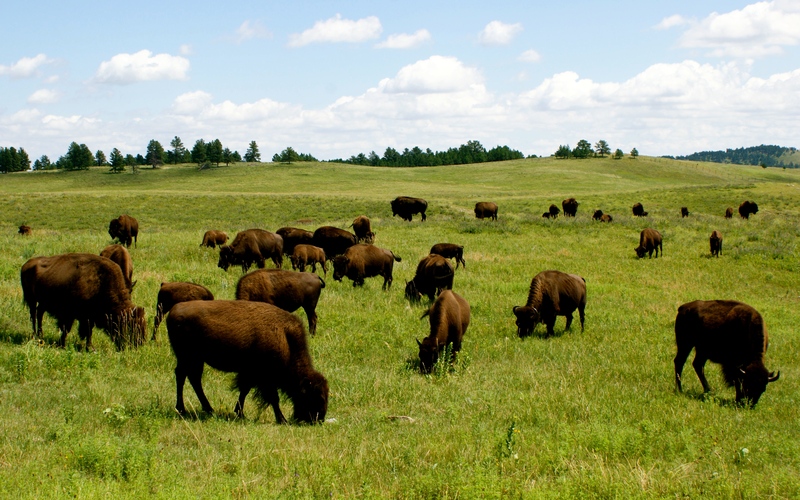 Although it is publicly-owned, this bison herd is one of the largest across the United States. This year’s Ambassador who is just 6 years old, said that she is the biggest fan of the Bison Roundup. According to her dad, Dustin Merritt, the little girl had an unusual passion for bison since she was a baby. He further added that she was never that child who loved puppy dogs or cats. Ever since she got a stuffed bison, she would sleep with it every day. Her dad also said that she underwent many surgeries, as well as open heart surgery, so her passion for this animal was one of the things that encouraged her and kept her going. The park manager said that after seeing McKinley’s big eyes at the previous Bison Roundup, it was clear who was going to be the guest of honor in 2016. Also, he offered the little girl a gift bag with a shirt, bandanna, statue, and a stuffed animal. The Bison Roundup has made such an impression that all participants were spread out on the entire island trying to find the best spots to see the herd. This has been the 30th Bison Roundup, and according to the park manager, the crowd was bigger than ever. Also, over 200 individuals on horseback moved the large beasts to where they could be put back in the enclosure. Every specimen will be checked by rangers to determine how healthy the herd is and if any bison needs medical assistance. The Bison Roundup is not just a touristic attraction but also a project to increase the bison population in the Antelope Island. According to curator Clay Shelley from the State Park, doctors will check every animal, and vaccinate the young specimens to make sure they won’t die from life-threatening infections or diseases. About 200 new specimens are born every year in the State Park, and the officials estimate that there are currently around 700 bison on the island. Rangers underline that they have to make sure that there is enough food on the island for all animals to survive, so the Bison Roundup is also used to sell around 200 specimens, which will be introduced in other areas.